I knew my neighbour had changed the finish for the 6th stage of the Endurrun but when I came out my door this morning this wasn't quite what I was exptecting. 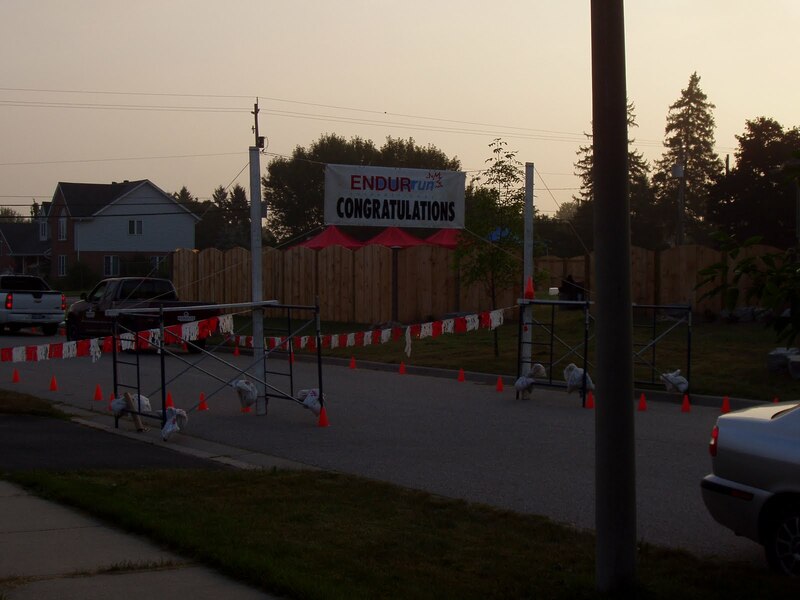 You can just see that my driveway is partially blocked by the finish gate. Be careful what you wish for.... This is the shortest distance I've had to travel for a race. I'm doing the water station at the 6k mark and will just squeeze out the drive. Have lots to update you on food later today/tomorrow. It's been such a busy week. Hectic almost.